Sergei Millian attends an event during the National Oil and Gas Forum at the Central Exhibition Complex Expo Center in Moscow, April 19, 2016. Sergei Millian remains one of the enduring mystery figures of the ongoing probe of Russian interference in the 2016 elections. The obscure Belarusian-born businessman and naturalized American citizen once boasted about his past work pushing Trump properties to Russian buyers and aggressively sought to get close to the Trump team both during and immediately after the campaign. He sought to befriend a half-dozen key Trump advisers, ABC News has learned, and attended Trump’s inauguration and posted volumes of pro-Trump tweets. “He is a key figure in the Trump-Russia story,” said one U.S. official of Millian. Congressional investigators have been trying for months to serve him a subpoena for testimony – but their process servers cannot find him. Several people who knew Millian say he has vanished. He emerged only occasionally on Twitter to offer tantalizing but seemingly misleading clues to his whereabouts, including photos of himself in places he had actually visited years earlier. 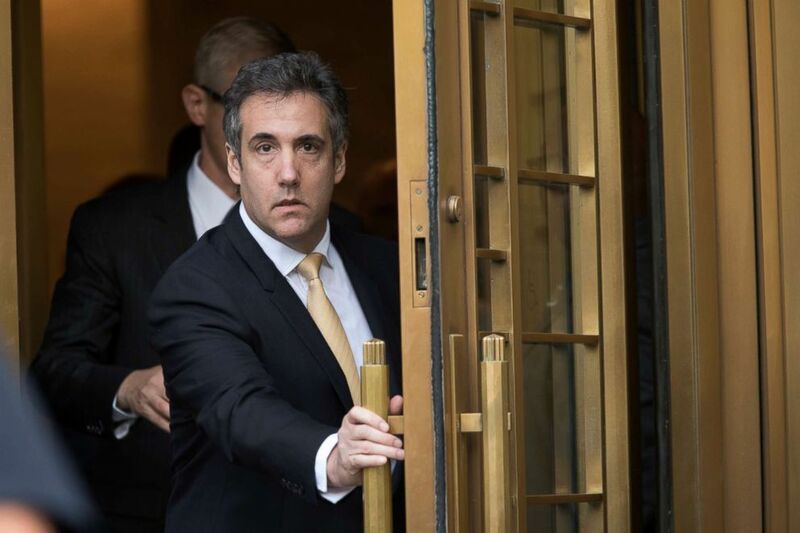 Now, congressional sources have told ABC News, they are hoping that if President Donald Trump’s former personal attorney Michael Cohen agrees to appear for hearings in the wake of his guilty plea on tax fraud charges last week, he might help point them in the right direction. Millian, who in 2016 was the self-proclaimed head of the Russian-American Chamber of Commerce, exchanged several emails and private messages with Cohen, according to two sources who have seen the communications. In one, Cohen offered Millian advice for dealing with the media, and in another, Millian invited Cohen to address his business group. If Cohen agrees to testify, he can expect questions about his communications with Millian, congressional sources said. Whether Cohen can provide any deeper insight into Millian’s activities in 2016 is unclear. In a brief interview in January 2017, Cohen told ABC News he wanted nothing to do with Millian. Michael Cohen leaves Federal court, in New York, Aug. 21, 2018. Cohen was just one of a number of Trump insiders that Millian reached out to – directly or indirectly -- beginning in 2016 and extending to early 2018. Millian also attempted to contact then-Trump advisers Cohen, Hope Hicks and Boris Epshteyn during the latter months of 2016 and early 2017, according to three sources. How the Trump officials responded to Millian’s outreach remains unclear. Hicks, who served as Trump’s senior communication’s director, declined comment through her attorney. Epshteyn, a former press adviser, also declined to comment to ABC News, though he has previously denied ever meeting with Millian. He told the Washington Post last year that Papadopoulos sought to introduce them, but he declined. Congressional investigators recently wrote to Epshteyn seeking an interview, in part to discuss any contacts with Millian, according to a source familiar with the matter. Millian also reached out to Michael Caputo, a longtime Trump political adviser, in January 2018. Caputo confirmed to ABC News that Millian messaged him over LinkedIn asking if he had a recommendation for an attorney. Caputo said he reported the exchange when he was asked about Millian during his interview with Special Counsel Robert Mueller’s team in May 2018. Millian’s interest in meeting with members of Trump’s inner circle only adds to mystery surrounding him. In March of 2017, Millian was identified in a Washington Post report as an unwitting source of one of the key allegations contained in the infamous dossier of unverified claims that have beguiled the Trump presidency from its inception. According to the Post, later corroborated by sources interviewed by ABC News, Millian was the person identified only as “Source D,” who spoke of Trump’s alleged hiring of Russian prostitutes during a 2013 visit to Moscow to someone who was secretly reporting to the former British MI-6 intelligence officer who compiled the dossier. The president has repeatedly and forcefully called the claims in the dossier untrue. President Donald Trump makes an announcement on the status of the North American Free Trade Agreement from the Oval Office of the White House on Aug. 27, 2018 in Washington. Millian gave a smattering of interviews and sparred with reporters as questions initially surfaced about the possible motives behind his efforts to reach out to people with ties to Trump. In a July 2016 interview with ABC News, his only appearance on U.S. television, Millian even described meeting directly with Trump in years past. During the interview, a transcript of which can be read below, Millian appeared to have knowledge of at least one aborted attempt to launch a Trump-branded development in Moscow. 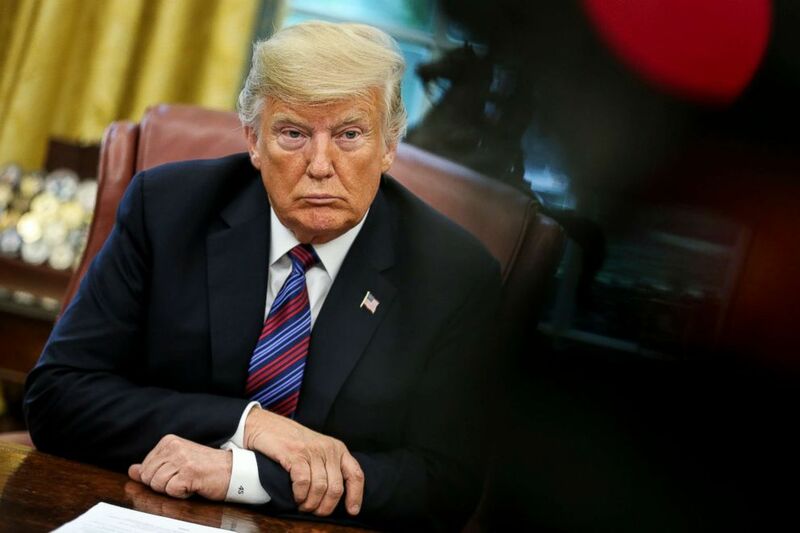 One proposal, which Millian described as “in the draft stage,” went as far as a Trump-signed letter of intent, but he said the Trump Organization backed away as the boss’s campaign gathered steam. Cohen, who acknowledged to congressional investigators that he reviewed a Moscow tower proposal in late 2015, said the proposed development lacked key elements needed to move forward. After the news reports surfaced in which he was referenced as a source in the dossier, Millian appeared for an interview on Russian television to deny any role. Asked directly if he had any salacious material about Trump that is described in the dossier, Millian said he did not. “I don't have any information and I doubt it exists,” he said. If investigators eventually catch up with Millian, sources tell ABC News they will want to know what drove him to meet with so many in Trump’s orbit – whether he simply sought to broker new business deals, or if he had other, perhaps geopolitical, motives. Millian, for his part, has not offered investigators many clues. In his 2016 interview with ABC News, he brushed off questions about his possible connections in the Kremlin.